The Waterways have many people involved in recovery of our waterways. One, the Waterways Recovery Group, a volunteer group, help other groups with special recovery camps, is now trying to get back what was lost due to canals being abandoned and closed during the 1950, 60's and 70's. Britain has a very unique canal system, unlike any others in the world. In affect these canals and inland waterways are a huge linear national park or international leisure park, also a vital wildlife sanctuary, and more important a industrial heritage site and an environmentally friendly transport system all rolled into one. What a real gift from our ancestors. Despite this there are still over 2500 miles of derelict waterways in Britain, which can be recovered over a period of time, with lots of hard work and cash. WRG is in fact an arm of the IWA, but do the muscle work of recovery. We will be featuring some ongoing canal recovery projects and hope you will enjoy reading about and even joining in, with water ways being reopened. The classic re opening is the Drotwich canal which now fully open from the Birmingham and Worcester canal through to the River Seven. The canal passes right through the town of Droitwich after which it was named. I have traveled this canal and it is really worth the trip. Our first featured recovery is on the BCN (Birmingham Canal Network) or as it also called (Birmingham Canal Navigation). This is the recovery of the partial existing link of the Litchfield and Hatherton canals. See the website at http://www.lhcrt.org.uk/ the website has full information on these two canal restorations. However the canal which i think will be completed first is the Litchfield. This canal which has old sections still in water will link the Coventry Canal at Huddlesford junction with the Wyrley and Essington Canal at Ogley Junction allowing users direct access to the northern reaches of the BCN. This route has the full go ahead and even has a major bridges and aqueducts already in place ready to go. This project has David Suchet as an active member and waterways supporter. Please visit their website, for lots more information. The second featured recovery is also on the BCN (Birmingham Canal Network) or as it also called (Birmingham Canal Navigation). This is in the terms of things is still a very new recovery project. This was started in 2011. However a lot of research and planning has been done to see if this project is a viable and practical enterprise. Today the canal is in water as far as the BW workshops, (where our lock gates are manufactured for replacement of old ones). However it is filled in beyond that location. As far as the Bradley Locks branch is concerned much of this line was sadly filled in. The section from A4098 Great Bridge Road (Bradley Bridge) to the Walsall Canal has remained in water, however the locks are still essentially intact, although buried. Restoration is not inconceivable and would no doubt improve boating options in this area. There is now a movement within the IWA to re water the rest of this canal to its former glory. There is a lot of information about this project on this link which is a downloadable PDF file. (Copyright IWA). Please save it to you hard drive and take a look. David Pearson of the IWA BCN branch is the man to talk to if you want to be involved in this worth while project. The Grantham canal used to link the river Trent near to the Nottingham Forest Football ground with Grantham. Designed mainly for coal transportation, it also soon began to take other cargos, including waste effluent from Nottingham as at the time the canal was built, had no sewage disposal. The project mainly driven by businessmen and the Duke of Devonshire of Belvoir Castle, to buy and sell coal and other goods, was started in 1793 and finished fours later when it was opened in 1797. 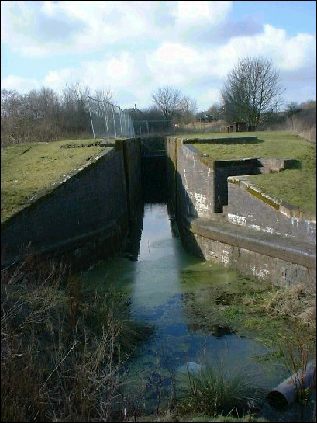 The canal was surveyed and built by William Jessop. The canal being a contour canal, travels through some wonderful English country side if which about 20 miles has no locks. Today the Grantham canal society is in the process of opening up the canal, having started rewatering sections of the canal and restoring locks by completely rebuilding them. It is hoped to restore the complete length from the Trent to Grantham. However the Trent link will not be its orginal route, but lower down stream near to Holme Pierrepont. I suggest you click the link above to find out more about this worth while project.